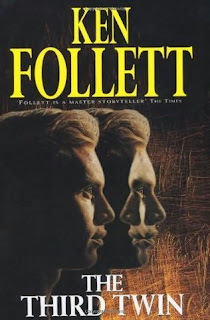 With around 20 books under his belt, Ken Follett is one heck of a prolific writer, so I thought I'd see what the bother was all about. The Third Twin is a thriller about the genetic cloning debate and the dangerous mystery that its feisty (and of course attractive) protagonist, university researcher Dr Jeannie Ferrami, stumbles upon. 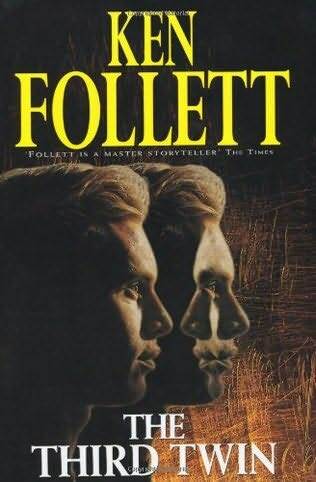 At the risk of sounding like a pretentious literary wanker, based on this novel alone I have to say that Ken Follett is a great storyteller but not a great writer. The Third Twin is a very fast-paced and absorbing novel, but the narrative voice isn't always believable, and is at times downright awkward. Firstly, the good bits. It's a hefty book but easy to read, and I couldn't put it down. The story races very quickly (and not at all believably) in the course of a single week or so, in which Dr Jeanne discovers a major cover-up, gets her life threatened several times and takes down the big powerful bad guys. But the bad bit is that the characters are extremely one-dimensional and while it has a whip-cracking pace, it has no emotional depth whatsoever. The story of Jeannie's raped friend was particularly unmoving and unconvincing. The dialogue is sparse at best and awkward at worst, and the narrative has some major holes and employs a lot of cliches. To be kind, I'd say it's probably a story for its time. Being published in 1996, it was possibly even ahead of its time. But now, in light of all the more sophisticated and polished stories of a similar vein, it smacks of amateurishness. We've become accustomed to authors who research their topics in depth to maintain narrative integrity, but it feels like this book was written in a hurry with nothing but the broadest ideas about the complex topic it's based on. Ken Follett paved the story for writers like John Grisham – great airport novelists, but Pulitzer Prize material they ain't. As long you know what to expect, I think you can enjoy his extensive range of published novels, because after all, we all need a good airport novel sometimes. That's kinda sad, really. It's like saying that to make it as an author these days, you have to have your own crack squad of research assistants (or else spend months/years poring over Wikipedia to learn the dark arts of whatever subject matter you happen to choose to write about). Hey Caesar, I don't want a dissertation on the topic (which is only background fodder to the story anyway), but I just want some believability. But my main issue with this book was the one-dimensional stereotypes and awkward dialogue. If he got that right, I wouldn't have complained about the lack of depth in the topic. (I haven't read any of these two).